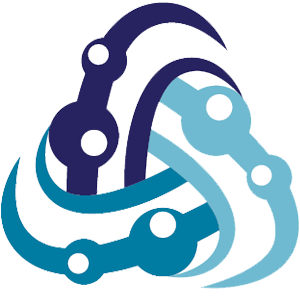 Conference track contains 16 ontologies from the same domain (conference organization). These ontologies are suitable for ontology matching task because of their heterogenous character of origin. An evaluation process will be supported by the HOBBIT platform, see section below for list of planned evaluation methods. News: Ontologies from this track are from the OntoFarm collection. If you use the conference (OntoFarm) ontologies in your work, please cite new paper about OntoFarm : Zamazal, O., Svátek, V. (2017). The Ten-Year OntoFarm and its Fertilization within the Onto-Sphere. Web Semantics: Science, Services and Agents on the World Wide Web, 43, 46-53. Results will be available according to OAEI schedule. Data set is available from this web-page (see below). You can either download them and try them on your own or you can directly use the HOBBIT platform. Both options are possible, however finally systems willing to participate in the OAEI 2017.5 need to follow the instructions as described on the main page. Systems participating in this track should explicitly mention that implements its API: bench:ConferenceAPI. See the implementation of the LogMap system and its metadata description (system.ttl). experience of people with personal participation in organisation of actual conference (indicated in column Type with mark Insider). Name is derived from name of conference or conference organisation tool. For downloading this ontology, just click on its name or you can download all ontologies at once. DL expressivity was obtained by Pellet reasoner. logical reasoning evaluation based on violations of conservativity principle (published in ISWC 2014 and KAIS 2017 [2,3]). 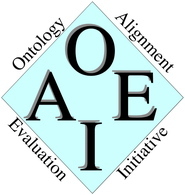 original reference alignment (ra1) which you can download - if you use the data set please cite new paper about conference ontologies . entailed reference alignment (ra2) generated as a transitive closure computed on the original reference alignment (ra1). In order to obtain coherent reference alignment set, conflicting correspondences have been inspected and resolved by evaluators. As a result the degree of correctness and completeness of ra2 is probaly slightly better than for ra1. However, the differences are relatively restricted. ra2 is not available. rar2 is a violation free version of reference alignment (ra2). First violating correspondences have been detected using approach from [2, 3] and then carefully resolved by an evaluator. This is the first year of using this violation free reference alignment. Michelle Cheatham, Pascal Hitzler: Conference v2.0: An Uncertain Version of the OAEI Conference Benchmark. International Semantic Web Conference (2) 2014: 33-48. Alessandro Solimando, Ernesto Jiménez-Ruiz, Giovanna Guerrini: Detecting and Correcting Conservativity Principle Violations in Ontology-to-Ontology Mappings. International Semantic Web Conference (2) 2014: 1-16. Ondřej Zamazal, Vojtěch Svátek. The Ten-Year OntoFarm and its Fertilization within the Onto-Sphere. Web Semantics: Science, Services and Agents on the World Wide Web, 43, 46-53. 2017.